We’re immensely proud to be a British manufacturer so we have created a brand new composite door design strongly influenced by the Edwardian period, a golden age for Great Britain. 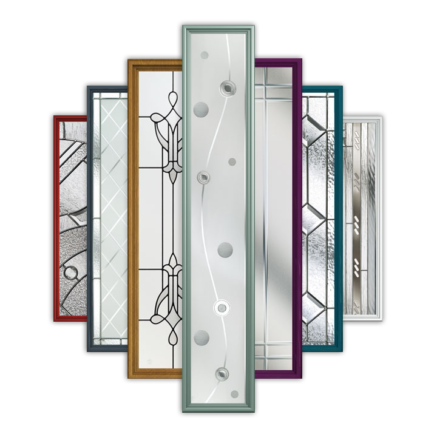 The London Door is aptly named with a styling similar to many doors found in the capital during the Edwardian era. Its timeless beauty can be put down to its most distinguishing feature; that arched glazed panel. Offering a quintessentially British look, traditionalists may favour matching an elegant black finish with Dorchester glass, or be daring and choose a contemporary colour like Peacock Blue. 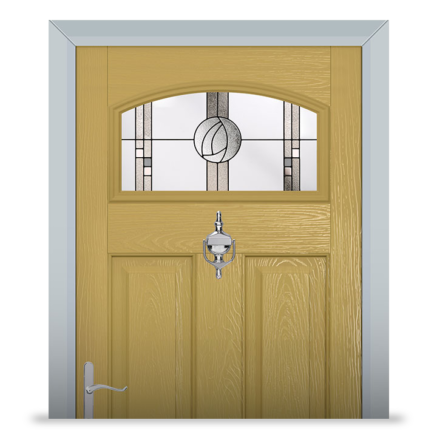 When buying a composite door at Solidor you will have the final say on the type of frame used. There are two options on offer; a sculptured door frame or modern chamfered door frame. Both come in 18 different colour combinations. We only ever manufacture our frames from lead-free materials, sourced from Kömmerling, one of Europe’s best PVCu extruders. 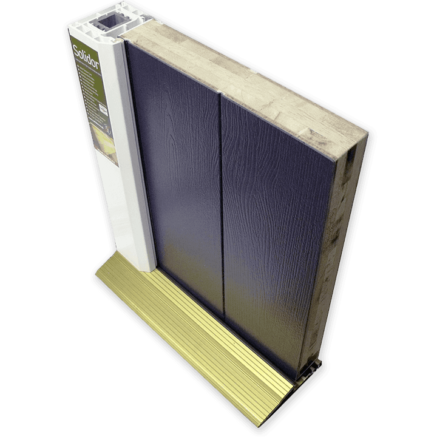 Stormguard low thresholds are also available and mobility friendly. Solidor offers the largest range of colours from stock in the UK, and we’ve recently added a further two fabulous finishes to our ever growing colour range; Peacock Blue and Golden Sand. 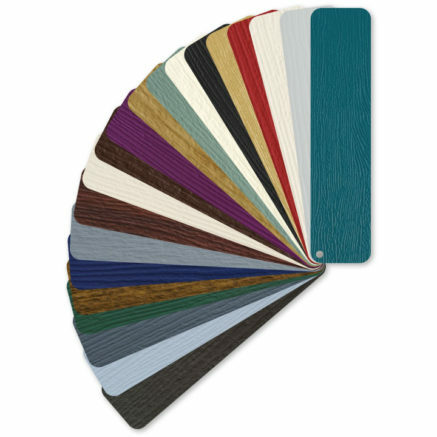 You can have any of our 20 colours applied to both the inside and/or outside of your Solidor, many of which are industry firsts. Mix and match colours to really set your door and home apart from anywhere else. 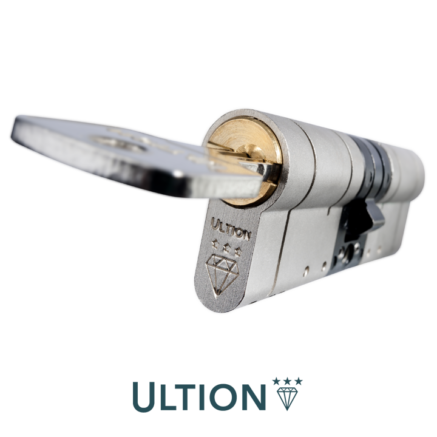 No London Door is complete until it has been properly accessorised and we have a vast and diverse selection of door knockers, letter plates and handles to choose from. Finding an appropriate finish for your accessories won’t be a problem as we can supply them in traditional gold, contemporary chrome, new black chrome, modern brushed steel, black and white. You can even specify whether your handle comes in a tube, flat or swept shape. To transform your London Door into a true classic, check out our extensive range of handmade traditional ironmongery. Our ironmongery collection is comprised of handles, knockers and letter plates. There are an impressive 5 types of door handle included, along with a beautiful ring-shaped knocker in black or pewter. 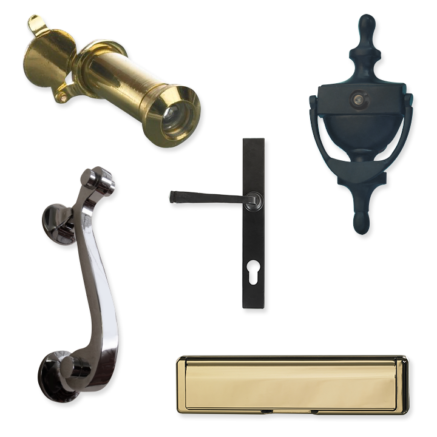 Whether your property is new or old, our traditional ironmongery is well worth considering. We called the company Solidor because our composite doors are just that, rock solid! There are unfortunately many doors out there, predominantly shipped in from the Far East, that use foam which is damaging for the environment. We only ever use a 48mm thick solid timber core, utilised from fully sustainable sources, which makes it 10% thicker than any other composite door on the market.